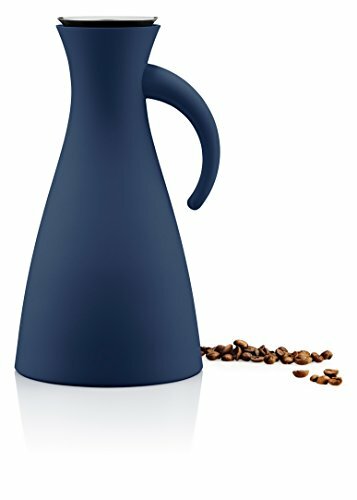 The Eva Solo drip-free vacuum jug with its innovative stainless steel pouring lip manages to catch the last drop of liquid being poured from splattering on the table. The patented designed pouring lip system makes this an absolutely drip-free vacuum jug. The inside glass flask jug is fully encased in a sleek colored plastic shell with an easy to hold pouring handle. Winner of the 2012 iF product design award. Designer: TOOLS.